Spark Box Studio offers art and craft workshops. Our workshops offer an open and friendly environment where you will learn different art making processes and have opportunities for experimentation. Just tell us what you’d like to learn and we’ll craft a workshop to suit you! Artists/owners Chrissy Poitras and Kyle Topping received their Bachelor of Fine Arts from Queen’s University. 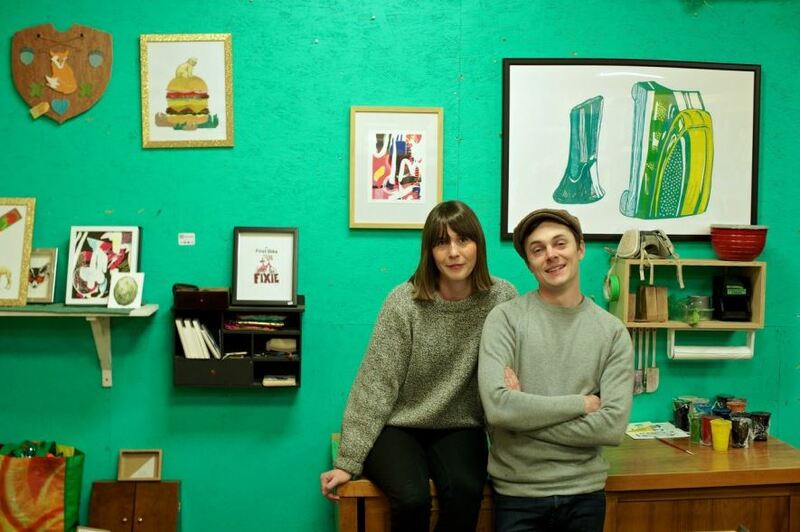 Since opening Spark Box Studio, the two have run dozens of workshops in printmaking, painting, drawing, photoshop and professional practices. They taught in the Art and Design Foundations program at Loyalist College for four years and regularly give guest lectures at OCADU and Queen’s University. To book a workshop, visit SparkBoxStudio.com.